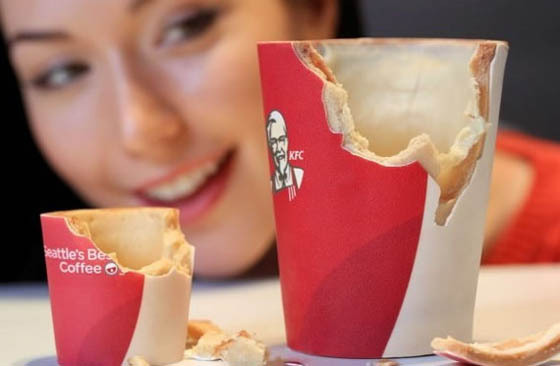 The cup, named the ‘Scoff-ee Cup’, made from biscuit, wrapped in sugar paper and then lined with a layer of heat-resistant white chocolate to keep the coffee hot and the cup crispy, is KFC’s newest product: an edible coffee cup. 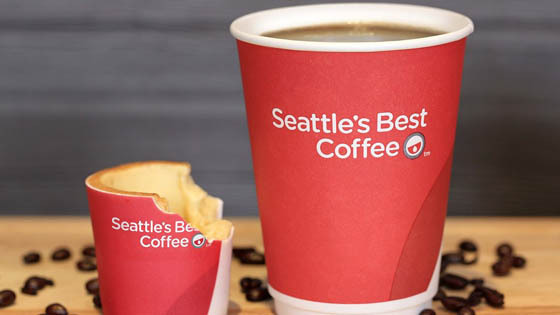 Edible packaging is a relatively new concept and could significantly reduce the amount of paper or plastic packaging used, especially in the quick-service restaurant where packages or containers that ordinarily are designed to be used once and then thrown away. 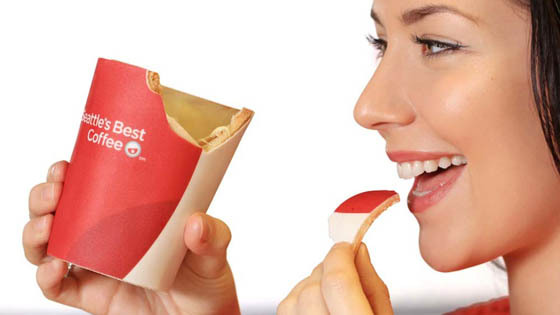 This type of edible packaging is definitely aligned with the global consumer mind-set in terms of sustainability and simplifying their life. As for the cup itself, it is described, “Once the chocolate lining melts over time, the biscuit begins to soften causing it to melt in your mouth.” Moreover, the cups have been dosed with ambient aromas, including “Coconut Sun Cream,” “Freshly Cut Grass” and “Wild Flowers.” to evoke memories of warm weather, sun and summer holidays — “things that make everyone smile. 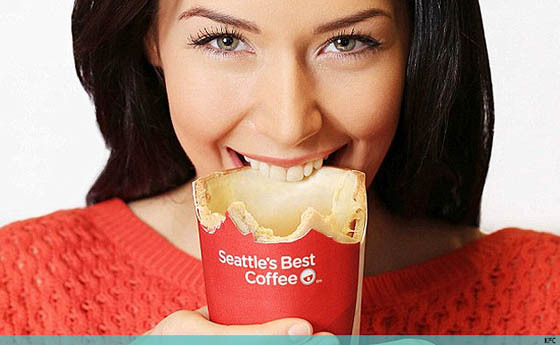 It is reported, coffee in edible cups will be servered in U.K. stores soon. 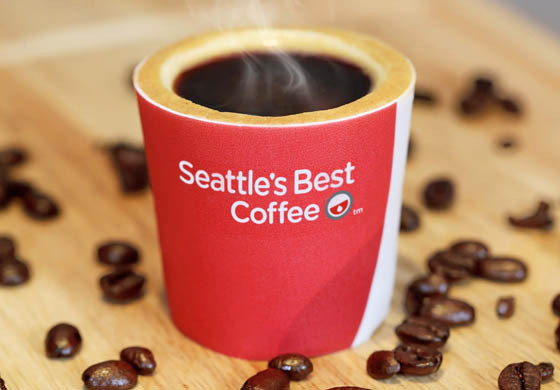 Not sure when we can try it in North America, looking forward to try it.